Here is the High School ENGAGE brochure, as promised. As I explained in the logo post, the theme for this camp was based on a Fallout 3 style and the metaphor of emerging from a fallout shelter to take on the world. 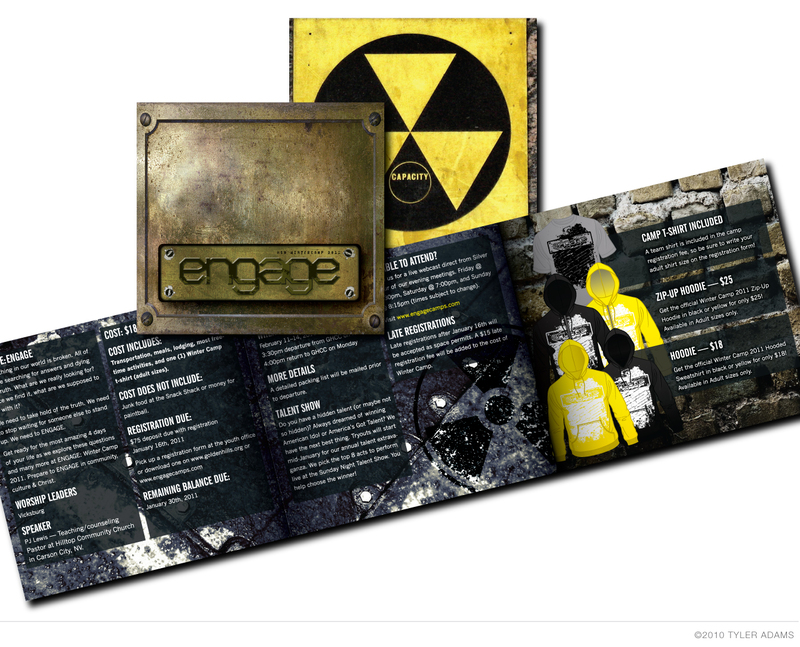 For more info about the camps, visit www.engagecamps.com (designed by Kyle Stillman).